Within the scope of a game, a checkpoint is only a position within the path of the player who, once achieved, will allow us to start from that position if we dead without having to redo all the previous progress. 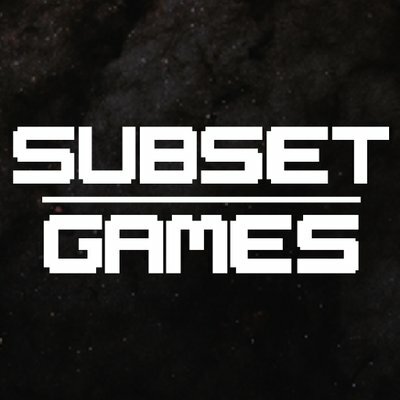 We will implement the script to be associated with the object that represents our checkpoint, which will build later, and will be responsible for controlling when our player goes through that checkpoint to save the progress of this. We define public variable 'activated' that will indicate if the checkpoint is activated or not. We also define the static variable 'CheckPointList' to store all the checkpoints that we have in our scene. Inside the Start() function we initialize the static list with all the checkpoints that we find in the scene. 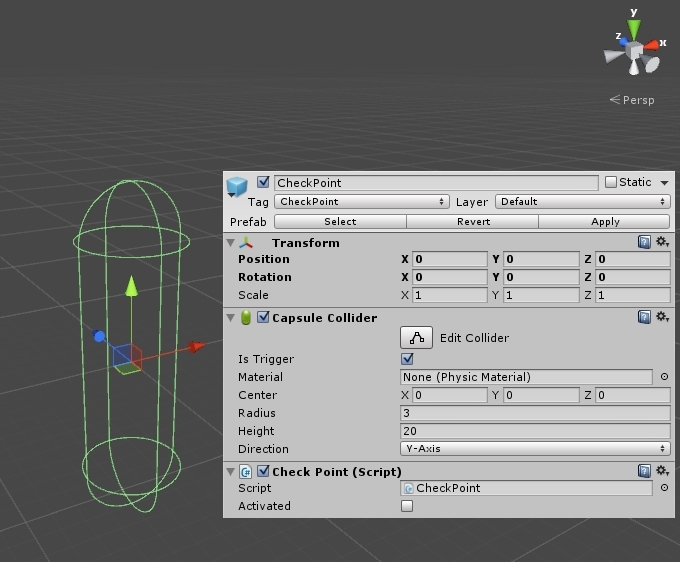 To identify which objects are checkpoints we will use Unity tags and make all checkpoints assigned the tag 'CheckPoint'. Now we create the 'ActivateCheckPoint()' private function that will active the current checkpoint and disable the rest. Once created this function we will use it whenever the player touch our checkpoint. We'll implement the 'OnTriggerEnter()' method to be executed each time the player (identified with the tag 'Player') enter in the trigger checkpoint. So we only need to implement a static function that can be called from outside of the script, for example from our player controller script, and we return the position of the last checkpoint we have activated. To do this we will create the 'GetActiveCheckPointPosition()' function. Now we'll create the checkpoint prefab. To do this we only need to create in our scene a simple empty object with the tag 'CheckPoint', add a Capsule Collider component (with the "Is Trigger" option enabled) and assigned our script 'CheckPoint.cs'. We already have the checkpoint prefab ready to use. Note: As an extra feature, we could create the game object 'CheckPoint' more complex than a simple empty object way. For example adding a visual element or even creating some animation to indicate when it has been activated or deactivated. We only have to call to the static function 'CheckPoint.GetActiveCheckPointPosition()' to get the position of the checkpoint when we want to re-position the player. This would be a good example to use: In 'OnCollisionEnter()' function of our player controller script, if we detect that an enemy touchs us then we go back to the last checkpoint activated position. In my GitHub profile you'll find a Unity 5 project where I implement a basic example of this checkpoints system. You can download it!